Rex and Courtney Blisard stepped out in faith when they started Born Again Pews. Rex earned a degree in agriculture at the University of Arkansas and taught at Cookson Hills Christian School. After that, he worked with a small pew company in Northwest Arkansas, serving smaller churches in the area. Rex found this satisfying work, but it became clear to him that there were many smaller churches across the country that could benefit from a company that could custom build and install church pews. Many rural congregations have no local church pew company, and big pew companies often aren’t willing to serve small churches. There may be surcharges on orders of small numbers of pews. The Blisards even work to find used pews to refurbish. It’s rare for a church to find used pews in their neighborhood right when they need them, and it’s hard for a church to go to another part of the country to pick up used pews. Born Again Pews can pick up the pews, refurbish them, and take them to their new home church. Born Again Pews started out refurbishing used pews in an old cow barn, but they now also build custom pews of oak. They create custom pews for churches all over the country, load up their truck, and go to the churches to install their new pews. They’ve shipped pews to Greece and to Canada, but Rex enjoys going on a pew-installation road trip. 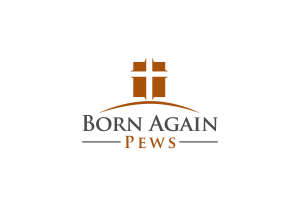 The Born Again Pews crew will pack up and head out, traveling thousands of miles in a week to install pews in churches from Munger, Michigan, to Grants, New Mexico. It turned out that the Dynasty had just cleared out a space the perfect size for the bench Born Again Pews had built. They got it into place immediately. For Rex and Courtney, this was exciting — but familiar. At so many points in the growth of their business, they have seen God’s hand at work. The Blisards started their business on a very small budget, working with hand tools in an old barn. They like to tell how their sales manager, Scott, then a salesman at one of the country’s major pew manufacturing companies, came to see their operation in its early stages and was led to join them. They rely on their website and on referrals from their many satisfied customers, and their business has built gradually into the national leader it is today. 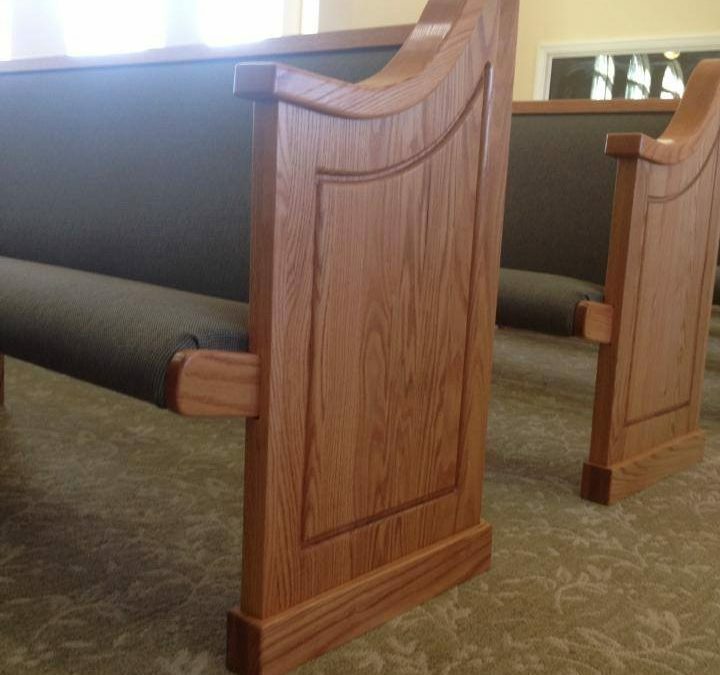 Now they create custom pews and other worship furniture for churches big and small — more than 250 installations so far.